What’s more exciting than a great book? A great book that comes to life! Cleo and Evan have a library of books so dangerous they have to be locked up tight. All of them can swallow you up into their stories. But beware! Lose your way and you’ll never get back out! 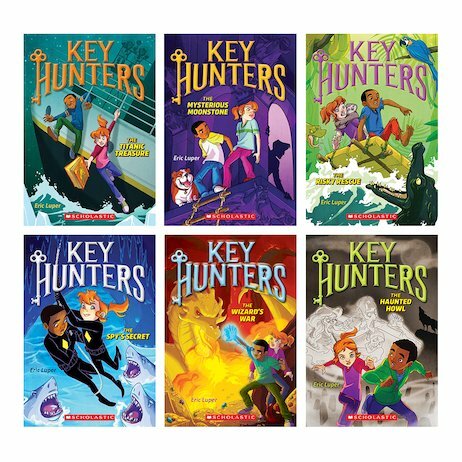 Join Cleo and Evan as they step into six amazing missions, starting with the mystery of a missing jewel. Can they survive each story – and find the lost keys that will help them to save a friend’s life?